Understanding Transitional No-till and True No-till! Jerry Grigar, State Agronomist at USDA-NRCS, East Lansing, MI and Randall Reeder, Retired Extension Engineer from The Ohio State University, recently co-authored an excellent article in the Crops & Soils Magazine, published by the tri-societies for certified crop advisers, agronomists, and soil scientists. 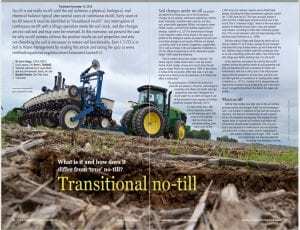 The article talks about “Transitional no-till” that is rarely thought of as an important phase when converting a conventionally tilled farm to “true no-till”. I highly encourage you to read this article that elaborates the differences between a transitional no-till system versus a true no-till system. Grigar et al. further question the validity of some of the published studies that report to have conducted no-till research in a short-duration. According to the authors, the early years of no-till should be treated as “transitional no-till”, until the system matures and becomes a “true no-till”. This is an interesting take that may be important for researchers as well as producers. Here is a link to Jerry’s article. If you cannot find a copy of the article, please contact me or any of the authors. Transitional no-till: What is it and how does it differ from ‘true’ no-till? We have started doing some preliminary trend analysis of changing water requirements for Corn and Soybean in Ohio. Below is a link to my 5-minute rapid talk at the Soil Science Society of America Meeting in Sand Diego, CA. I decided to share this, because it generated a lot of good discussion in my session. Feel free to comment below or contact me. Agricultural drainage removes excess water from the soil profile and helps sustain crops by improving the aeration and providing better trafficability of the soil. The benefits of drainage include reduced risk of crop loss from excess water stress, improved control of pest and diseases, and consistent crop yields under climate variability . Although, the primary purpose of drainage has remained unchanged since 1800’s, the field of drainage has evolved significantly with respect to design, installation and management. Unlike the old drainage tiles installed randomly, the modern drainage systems tend to be more intense (narrow spacing) and more systematically installed with the use of modern machinery and better precision. 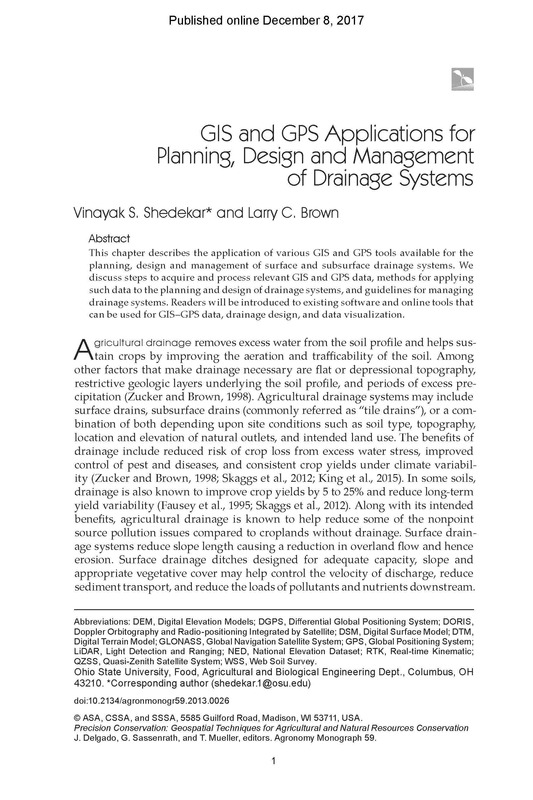 Recently, I contributed a chapter that describes the application of various GIS and GPS tools available for the planning, design and management of surface and subsurface drainage systems. 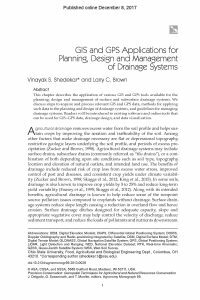 We discuss steps to acquire and process relevant GIS and GPS data, methods for applying such data to the planning and design of drainage systems, and guidelines for managing drainage systems. Published by: American Society of Agronomy and Crop Science Society of America, Inc.
A Center Pivot System in a field along US-23 near Waverly OH. Every day, on my way to work, I pass through four Ohio Counties – Franklin, Pickaway, Ross, and Pike. In a stretch of 75 miles, you get to see a variety of crops, soils, and businesses. A majority of farms with grain crops (corn and soybeans), a few with specialty crops (vegetables, blueberries), and the pumpkin farms near Circleville – the city that hosts the annual pumpkin festival. Most of the specialty crops require irrigation. 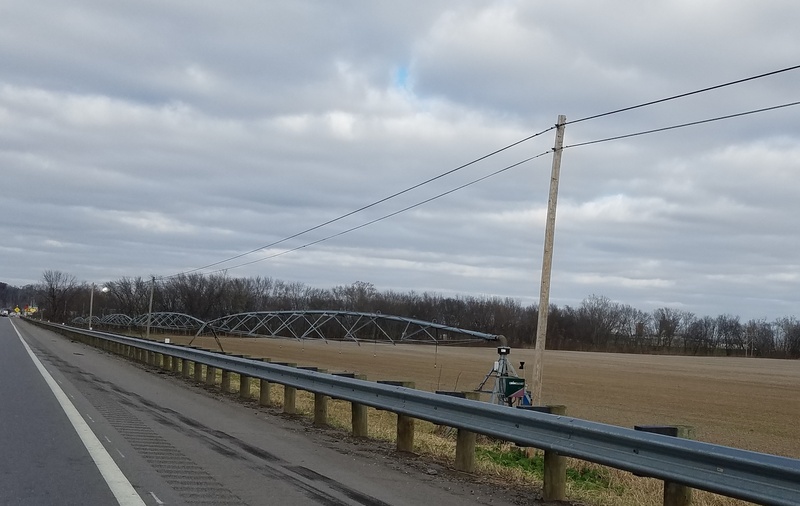 However, we are seeing more and more overhead systems (center pivots and linear move) being installed in Southern Ohio for corn and soybeans. Irrigation of grain crops hasn’t been a major concern in Ohio until recently. To our surprise, we are seeing some irrigation systems being installed in Northwest Ohio. Recently, one of my colleagues, Stephan Gunn looked at the future changes in Irrigation demands in Lower Scioto watershed. 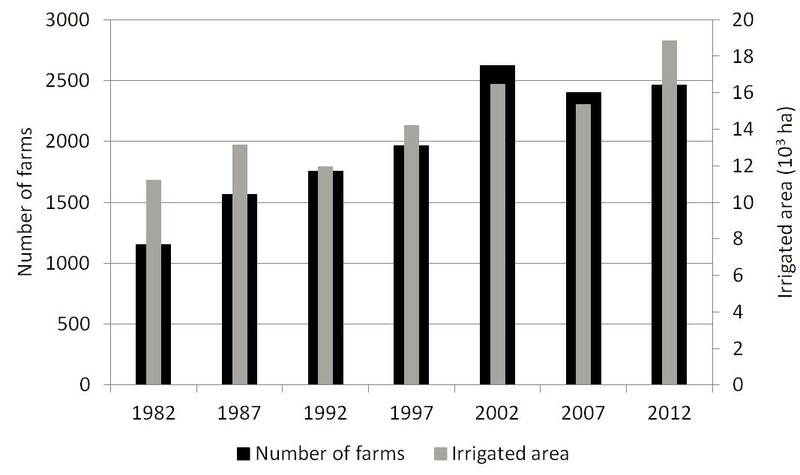 The number of farms and area under irrigation have consistently increased over the past few decades in Ohio. The demand for water and energy for irrigation is likely to grow substantially in future due to expansion of irrigated area in Ohio. 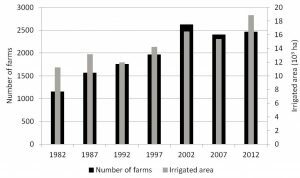 I am currently analyzing some historic data to estimate how the irrigation demands have changed in Southern Ohio in the past few decades for grain crops. More details coming soon! 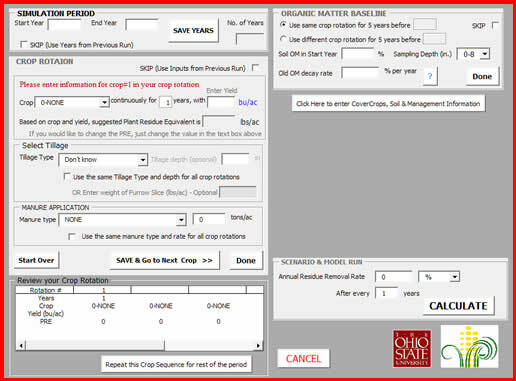 >> Soil Organic Matter Calculator A spreadsheet tool developed by me. >> Irrigated Grain Crops in Ohio My “5-minute rapid” talk at the 2019 SSSA Mtg, San Diego CA. >> My Interview by Regenerative International at #GSOC17 Rome, Italy. There is always something to be happy about!